Braddock’s Dispensary was a combined shop and residence built in 1899 for Charles Braddock, a pharmacist who had moved from Adelaide around 1895. Designed by architects Mills & Inverarity, today it still bears the name of the shop on the front pediment. During the early years of the 1890s, the land bounded by Fitzgerald, Newcastle and Aberdeen Streets was largely undeveloped with only a few dwellings recorded as being there. 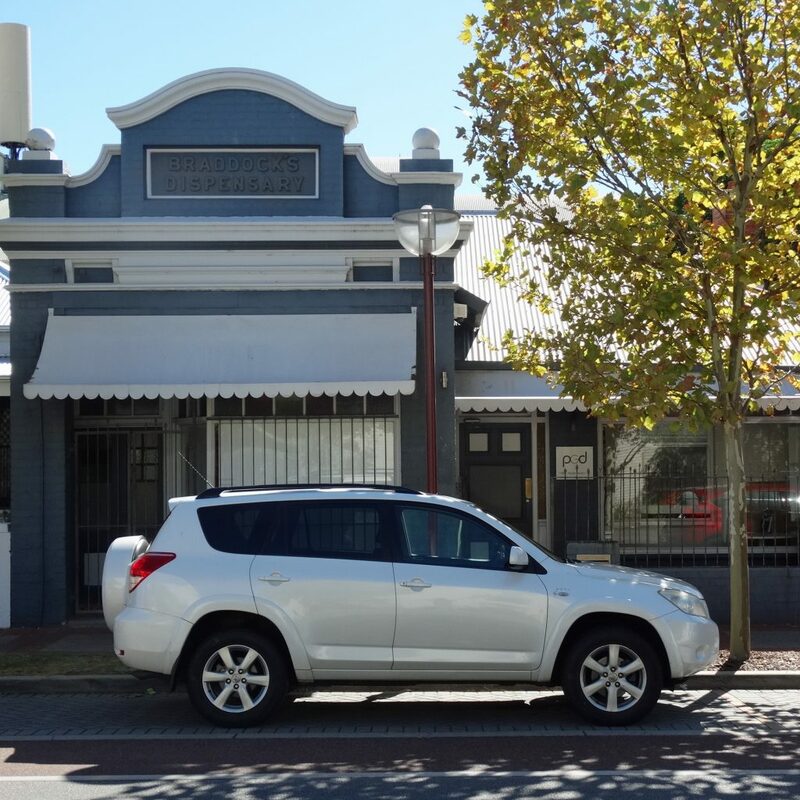 The 1890s gold boom resulted in a substantial increase in Perth’s population, and various types of cottages and commercial premises began to appear on these streets during the second half of the 1890s. Charles Braddock moved from Adelaide around 1895, and first established a shop on the corner of Fitzgerald and Newcastle Streets. He offered free advice on “all ailments and diseases”, charging only for any medicine he sold. Towards the end of the following year, he relocated to a new shop on the corner of Fitzgerald and Aberdeen Streets, before commissioning his own building in 1899. Today the small shop and attached residence are a reminder of some of the earliest styles of buildings which were erected on Aberdeen Street.